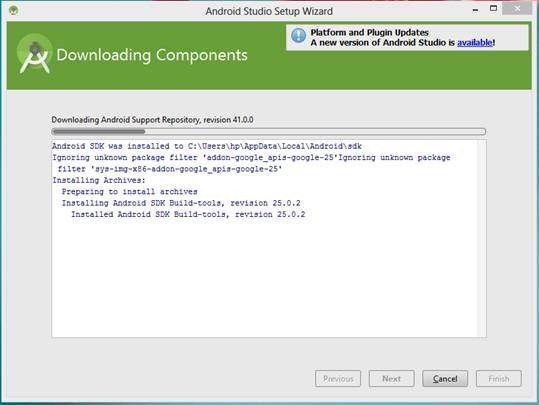 To Install Android studio first you need to download the IDE Software and Java SE Development Kit 8. 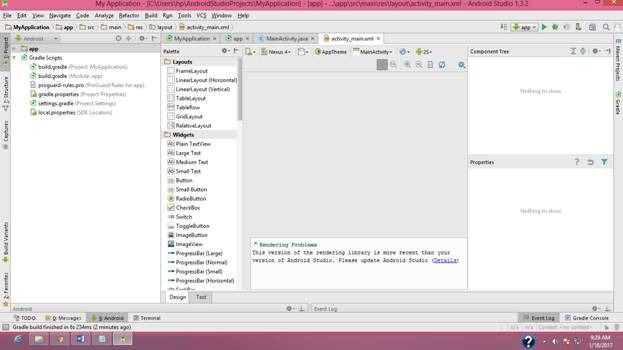 Java SE Development Kit 8. 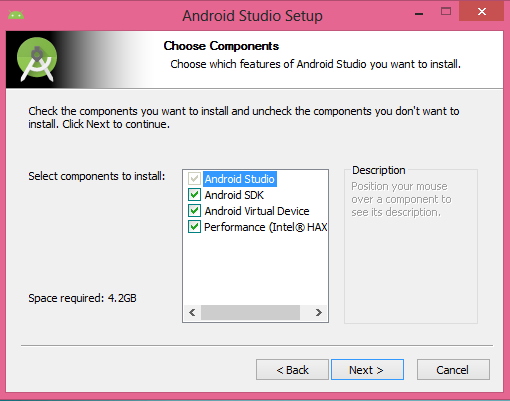 Then install Java SE Development Kit 8. 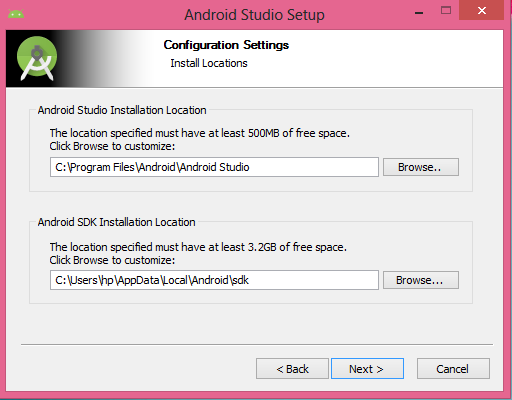 Afterward you can install Android Studio. Welcome screen of the setup. Then you can select the components to install .Its recommended to select all. After that you can select the hard drive location. 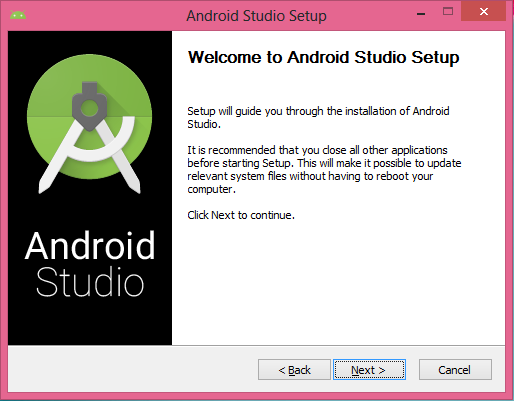 When the setup completes you can see the Android Studio logo. Then it will take couple of minutes (based on internet connection speed) to download other necessary Components. 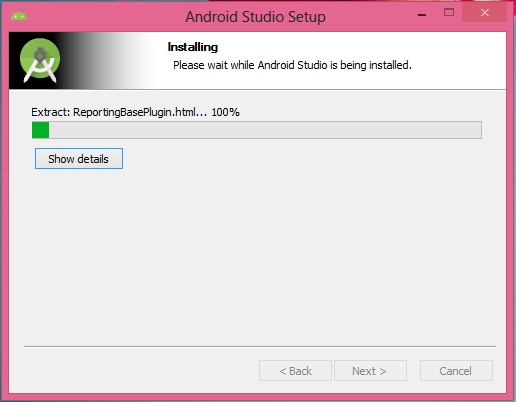 This update will make sure that you have everything up to date to run Android Studio. 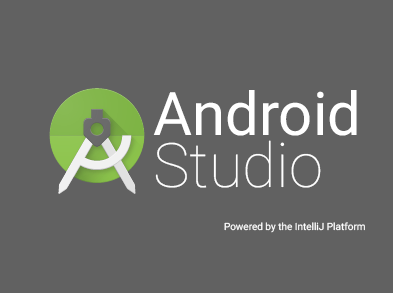 Now you are ready to Android Studio for the 1st time.